As a publisher and author, I am always interested in finding ways to market books. With marketing, as you can probably agree, there is not a silver bullet solution. In the vast majority of cases, it will be multiple marketing methods that help improve book sales. Today, I wanted to talk to you about a social media book promotion platform that you may not be taking advantage of fully! The platform is YouTube and I will specifically focus on YouTube Channels to market your books. One method that I am surprised to see NOT get a lot of attention these days is video marketing with authors. In a casual search on Youtube, I decided to see if two of my favorite authors had Youtube Channels. What I found shocked me. Not ONE of them had their own channel! As a matter of fact, I could not even find a Youtube account linked with the author. I would find videos made by others that featured the author, but nothing specifically originally from them. I was very surprised to see this, and then I realized that this was a huge opportunity for those wanting to market their books. Why? Because video is insanely popular at the time of this writing, one of the most powerful marketing tools now, and they create a great user experience. 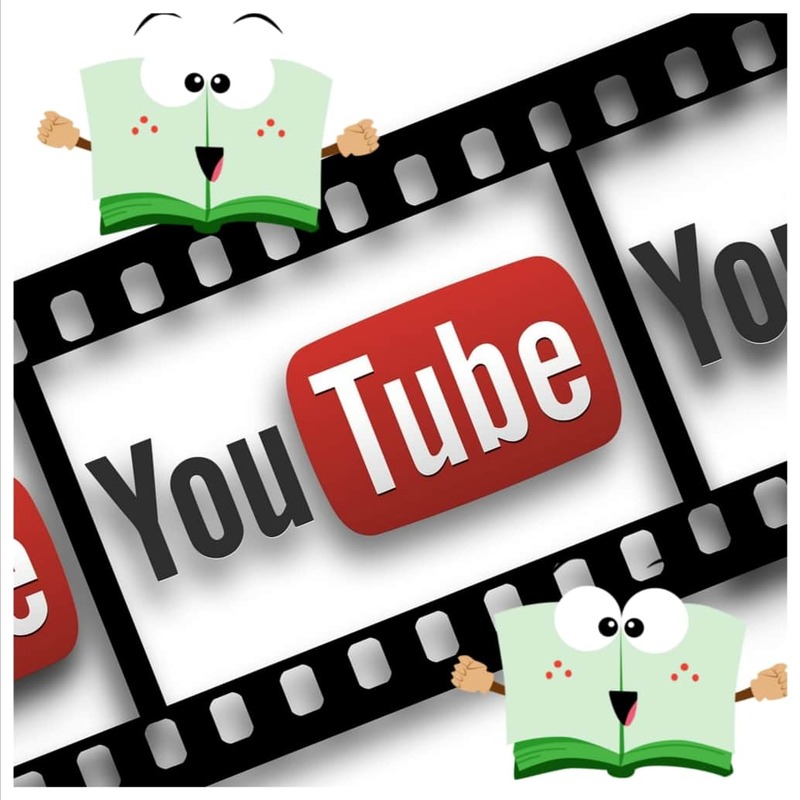 If you are looking for a way to sell more books and develop a relationship with your readers and potential readers creating, a Youtube channel can do both of these things. Below I wanted to show you 5 Youtube Channels that I like and highlight what I believe you can take away from each one. I hope you can use these book promotion ideas! This is the first Youtube Channel I wanted to highlight. Lindsay Cummings has a channel that not only markets her book, but it is fun and engaging! Lindsay has videos that range from promotions of her book, how she started writing, a video showing her sister being proposed to and more. Another point to notice is the engagement with her videos. She interacts well with her fans and they like to talk back to her. She also has well over 4400 subscribers! Thelifeofawriter was created by Stefanie Newell. Stefanie, is a published author who has had a book of hers reach best seller status in one of the categories on Amazon. Her channel focuses heavily on her writing journey. Through this journey, she creates a lot of videos that provide tips on writing. This sort of channel can really help demonstrate one as an authority on various topics. Some of those videos include “eBooks vs Print Books – Which makes more sense?”, “How To Have A Successful Book Signing & Sell Books!”, “5 Book Writing Tips That Makes The Writing Easier”, and more. Stefanie has other videos too that help subscribers get a quick glimpse into her life. She has just under 1500 subscribers and like Lindsay, Stefanie interacts well with her audience. Brendan Burchard is a New York Times bestselling author and motivational speaker. His channel has over 200,000 subscriber. Brendan’s channel serves as a platform for him to connect with his followers and build on his authority. As you go through here, you will not see to many of the anecdotal videos that you may have seen in the other two examples, however THAT IS OKAY J. This channel does an exceptional job of providing value to their subscriber community. Look at the conversation engagement below the his videos. The conversation approach is different here than with the other two channels. Brendan starts off the conversation with a comment and then his subscribers drive the rest of the conversation with each video. Jeff Walker is another New York Times bestselling author. He specializes in creating tactics and strategies to help people launch their products. His channel is similar to Brendan Burchards. Like thelifeofawriter and Brendon Burchard’s channel, the types of videos they are posting helps to show them as an authority. Based on the number of views that his videos get and the comments under his videos, it is clear that he has an understanding of the type of content his views are interested in. Like Brendan, his interaction approach is similar. He starts off the conversation with a comment and then his subscribers and other commenters drive the rest of the conversation. James Patterson is another #1 New York Times bestselling author. A really cool factoid about him, from his “about” section on his Youtube channel, is that he holds a Guinness World record for the most #1 New York Times bestsellers of any author. James’ Youtube channel features many videos. It contains multiple book trailers for his titles, interviews about his books, and a few funny videos. James’ channel uses multiple videos to promote the same book and still keep them entertaining. With this channel, I have noticed that there is not as much engagement per video as some of the other channels discussed here. These are a few Youtube Channels that have been created by authors that I believe provide good models for an author to use as a guide for creating your own channel. There are different styles so you can choose one that works with you. An important thing to remember is that it takes time to build subscribers. Build your channel with great content and you will see the results! I hope you enjoyed this posts. Were these book promotion ideas helpful? If you have your own thoughts or other author channels to suggest, please post below. Get Our Free eBook For Getting More Book Reviews! ebook Solutions 2014 | All rights reserved.